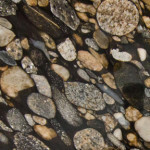 Did you know, that when it comes to utilizing natural stone in your home or office, there are literally thousands of stones to choose from? 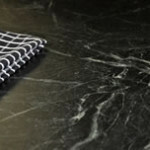 You may be familiar with some of the most commonly chosen ones, like granite, marble and travertine, but have you heard about soapstone or breccia? Do you know what kind of special finishes are available? Every Stone Showcase article highlights a different stone, each spectacular in its own right, with pictures and information on its qualities, uses and care. It's exotic, it's beautiful, it's Brazilian. The South American country produces some of the most gorgeous and interesting stones in the world. There are a wealth of granite colors to choose from -- the hard part will be which ones to use. All natural stone has its variations, because it's... well.... natural. Even so, many still want a certain uniformity. If you’re one of them, breccia is probably not for you. 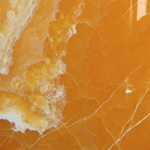 But if you want something totally and exceptionally unique, breccia's your stone! Your article on fire features in the premiere issue gave us exactly the solution we were looking for. We wanted to create a stunning focal point in our living room that we were redesigning. We're sending pictures of what we did after it is finished. Thank you, thank you, thank you!